one happy little crafter: The one with the mouse and the treat box! So, every now and then I get overcome with an "anything but a card" urge...and then I stumbled across this on Tracey's amazing blog and couldnt resist having a go. This it the "toot" that I followed click here, and considering I am not great at following measurements and stuff, I was amazed at how easy it was to do, mine might not be a patch on Tracey's but not bad for a first attempt! dis digi designs - animals acting like people dont think mice usually wear jumpers! Oh just to add - the image is from Di's Digi Designs, flowers are a joycraft die, paper, candy and doily from stash. Oh wow this image is so adorable and I love this fabulous creation . Very nice, I love little boxes and 3D items. Thank you for playing along this week at The Stamping Boutique. Good luck in the challenge and I hope to see you in the next challenge. 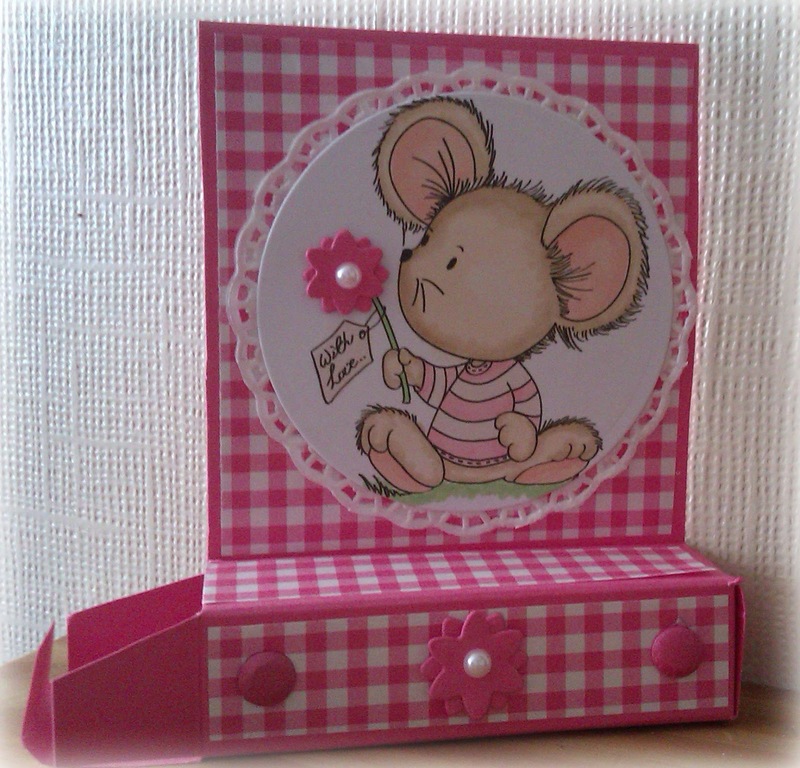 Gorgeous gift box Lisa, I like the sweet image the papers and the design. This is fabulous Lisa. The image is delightful and I love the design and gorgeous colour too!! This is so beautiful Lisa..I think you have done a Fantastic job...love it!!! 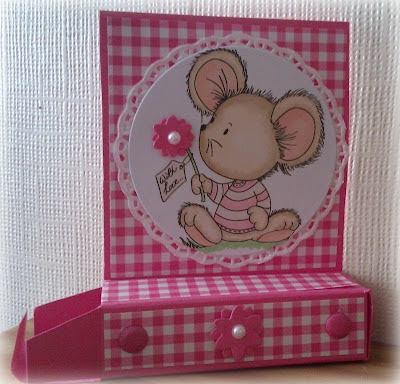 Beautiful card, please enter it to Link Up for Pink, hope to see there! So cute, fantastic box !! !